We've taken a closer look at the top password managers available on the market and narrowed it down to the most secure and most reputable so you can rest assured your passwords are safe and sound. Security experts agree that if you’re not using a password manager to secure your accounts, you’re putting yourself at high risk for identity theft. But it’s a lot like putting all of your eggs in one basket: you want to be sure you’re choosing a basket built like a tank. A password manager is like a digital vault where you can store all the passwords you use for different online accounts, like banking, email, online shopping, social media, and more. 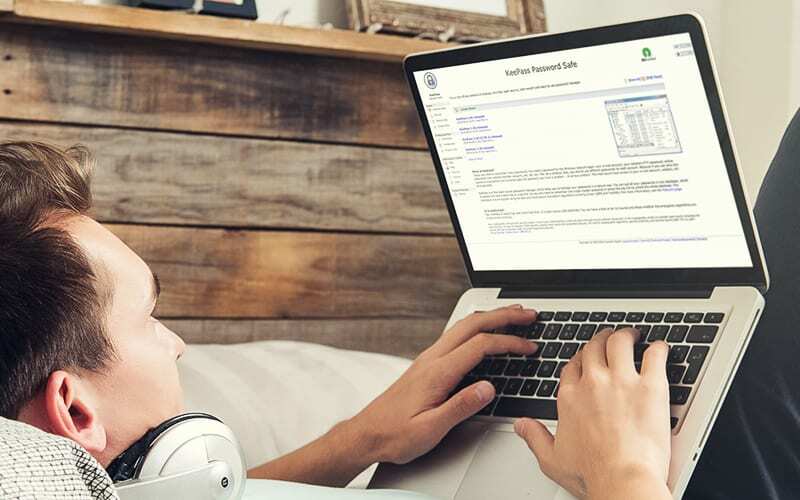 Only you will have the master password to your digital password vault, so it’s important to memorize it or keep a hard copy in a safe location. Most password manager apps act as browser extensions so they can assist you in creating new passwords, changing old passwords, and auto-filling online forms with your name, address, phone number, and even credit card information. If you’re security-minded, it may feel counterintuitive to put all of that sensitive information in one place, but reputable password managers encrypt your information, making it impossible for even the password management provider to access it. Some password managers include additional security features like two-factor authentication to keep your information extra safe from hackers. To review the best password managers on the market, we studied each program’s features, strengths, and weaknesses. We learned more about the pros and cons of each from security experts and users, and we compared our findings to write the top-ranked password managers. To learn more, check out our methodology. According to a survey by Digital Guardian, more than 50% of the general population reuses passwords, with the worst offenders being those ages 18–24, and 64% of passwords are rated as "weak." Dashlane offers three plans: A free version that saves up to fifty passwords on one device; a premium version that saves an unlimited number of passwords, syncs across multiple devices, and has additional security features like a VPN; and a premium plus plan that includes even more features, like credit monitoring. It’s easy to use and intuitive, but the additional features make it pricier than more basic password managers. 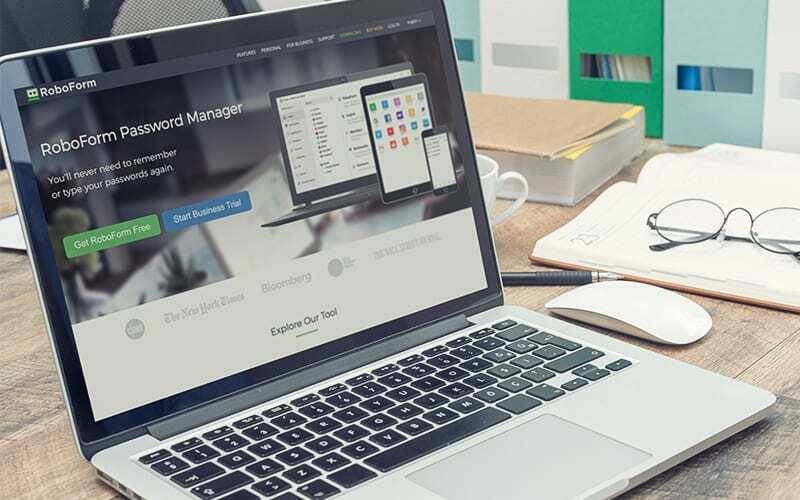 One of the best features of a password manager is that you don’t have to worry about creating passwords that you can remember—your password manager will remember them for you. Dashlane generates and remembers strong passwords for all your accounts. A virtual private network (VPN) is a feature often seen with antivirus software to keep your Wi-Fi connection secure and encrypted. Dashlane includes a VPN with its Premium version, offering an affordable way to protect sensitive online transactions. Dashlane offers a two-step verification option with YubiKey, available for $40 on Amazon. The key acts as an added layer of security—Dashlane will only autofill your passwords when the key is plugged into the USB port on your device. Dashlane Premium allows you to sync across all your devices and includes a VPN, dark web monitoring, and secure document storage. At around five dollars a month, it’s a good value. But if you’re not sure, you can do the free thirty-day trial. If your device has fingerprint scanning or facial recognition capabilities, you can use them as part of Dashlane’s two-factor authentication. If you’re switching to Dashlane from another password manager, Dashlane can import your passwords for a seamless switch. Dashlane knows when you’re shopping online and can automatically save your receipts. Dashlane’s user interface is well-organized and intuitive. When you enter a credit card number for safekeeping, the site uses an icon that looks like the actual card to make it just like a digital wallet. Dashlane only recently added Internet Explorer to its list of compatible browsers, but its functionality is limited. You can’t use Dashlane’s Enhanced Menu on Internet Explorer. The auto-change password feature is a great time-saver, but it only works on the most popular sites on the web. Some users report that Dashlane uses up a lot of memory, which could cause your computer to run more slowly or limit valuable storage space on your handheld device. A great way to get a stronger password is to use a series of words, like lyrics to a favorite song. This gives you a long string of characters that will be hard for a computer program to hack but easy for you to remember. LastPass password manager offers many of the same features as Dashlane, like a strong password generator and document storage, but at a lower price. It’s not quite as user-friendly as some of the other password managers, and it doesn’t have a great reputation for customer service. The service was hacked in 2015, but nothing was stolen and LastPass used it as an opportunity to plug security holes. LastPass offers quite a few features for a lower price than competitors. Hackers can track the keys you press on your computer keyboard with keylogging software, giving them access to sensitive information. LastPass uses on-screen keyboards for you to enter in passwords and other important info by clicking rather than typing, protecting you from keyloggers. LastPass allows you to sync passwords across all your devices, even with just the free version of the software. LastPass encrypts and decrypts data with 256-bit encryption only on your device, not through its servers. Unlike Dashlane, LastPass offers free two-factor authentication using the Google Authenticator app or a texting option. LastPass Premium subscribers can use biometric options on their device or the YubiKey. Most password managers require you to completely wipe your system and start over if you forget your master password, but LastPass lets you create a password reminder and will let you reset your password. LastPass Portable lets you install a version of the LastPass browser extension on a USB drive so you can take it with you and use it on other computers. The LastPass Pocket app lets you sync different devices manually using a USB stick, so you never have to put your data online. LastPass has a variety of categories for different types of information you may want to store, but some of the categories are unusual and probably unnecessary for most users. The overabundance can be confusing for new users. Some users report that LastPass tries to save passwords more than once, which results in duplicated or outdated information. LastPass recently doubled its subscription rates. While the rate is still on the low end, the unexpected price hike was frustrating for some customers, and many question if it will happen again. Dashlane limits the number of sites where passwords can be automatically changed. LastPass suffers from the same problem, but even more so—it includes just fifty popular sites on its list (versus Dashlane’s 500). 1Password has an attractive interface, but it can be awkward to use. Its security features are top-notch, and although there’s no dedicated customer support, its user forum is a great place to get answers to questions. It would be nice to see a free version of 1Password and more options for importing passwords. 1Password uses end-to-end encryption to secure files, which means that they are encrypted and decrypted on your device, so no one—not even 1Password—can access them without your master password. There are times when you may need to copy and paste a password into an online field, which can leave that password exposed on your device’s clipboard. 1Password detects passwords on your clipboard and clears them automatically. A cryptography tenet known as Kerckhoffs’s principle states that “a cryptosystem should be secure even if everything about the system, except the key, is public knowledge.”1 1Password’s software architecture is fully transparent, allowing for anyone to see how it works, which means that 1Password is secure enough in its design that it doesn’t feel the need to be secretive. It’s easy to be fooled by fake sites posing as real ones, and hackers count on you not knowing the difference so they can steal your password and other information. 1Password checks a site’s authenticity and will only fill in a password on the site where the password was created. 1Password will only fill in your contact information if you command it to do so. When you put 1Password in Travel Mode, it removes all your sensitive data from your devices, letting you travel securely. 1Password has an active and comprehensive support forum frequented by its own programmers. If you have any questions about your software or problems with it, you’ll be able to easily and quickly find the help you need in the forum. If you’re switching to 1Password from another password manager, you’ll want to import your passwords, but it may be difficult. 1Password can only import from Google Chrome, Dashlane, LastPass, and RoboForm. While you can try 1Password for free for thirty days, the company does not offer a free version of the product. Unlike Dashlane and LastPass, 1Password does not have an automatic password changing feature. Company representatives say the programming required would be cumbersome for their team and that changes in a website could affect the programming of this feature, leaving you locked out of your account. 1Password is not as streamlined as other password managers, and it can take some time to find your way around and understand how to use all of its features. KeePass is a cross-platform, open-source, free password manager that’s popular with self-proclaimed computer geeks. It has solid security features, and it keeps its database in a single file so it’s easy for you to sync it with your Dropbox. But the interface is dated and it’s not Mac-friendly. There’s also no customer support except for online tutorials created by users, so it’s not for the casual computer user. 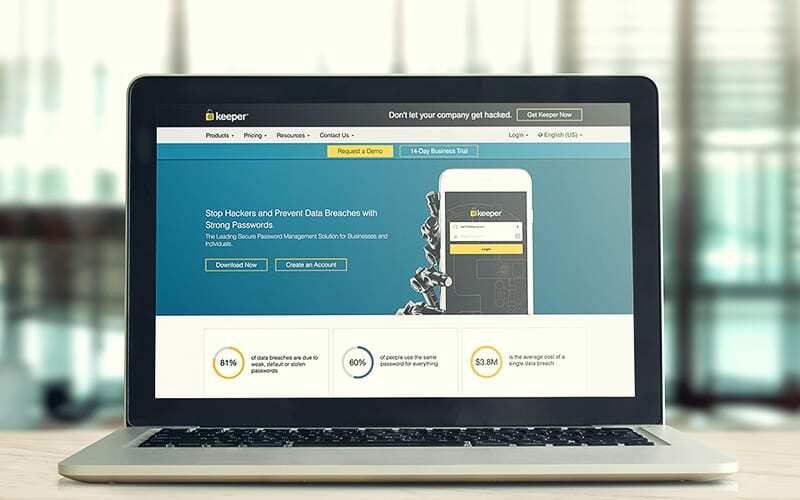 Keeper offers a free fourteen-day trial of their paid Keeper Backup program, and it has all the security features you’d expect from a password manager. But its interface isn’t quite as polished as other top products on the market. Its autofill feature can be tricky to use, and it doesn’t offer a password strength report for existing passwords like other password managers do. We do like its around-the-clock customer support, which is uncommon for many password managers. We like that the free version of RoboForm includes a mobile version, and the Batch Login feature allows you to log in to up to five sites at once, which is great for those who like to get a jump start checking email and messages in the morning. But the free version only lets you store ten passwords, and the autofill doesn’t work on mobile apps. And if you have a Mac, you won’t be able to import passwords. I have so many passwords—where do I start? Start with your most sensitive accounts, like banking, credit cards, and email. Use your password manager to create unique, complex passwords for those accounts first. Because password managers do not have access to your files or your master password for security reasons, most password managers will require you to wipe your account and start over. For this reason, it’s important to memorize your master password or keep it in a safe location. Two-factor authentication (sometimes called multi-factor authentication) adds an extra layer of security to a password-protected account by requiring an additional password, PIN, or action on the part of the user. Usually this involves using a device you own, like a mobile device, to authenticate your identity. While hackers may be able to crack a password, it’s unlikely they’ll also have access to your phone. How do I choose the password manager that’s right for me? Reading reviews is helpful, but once you’ve narrowed it down, search for videos of your top picks. It’s important to choose a password manager that’s easy and intuitive to use, or you won’t use it. Watching videos of password managers in use can give you a feel for the user interface and help you decide which one will be most comfortable for you.